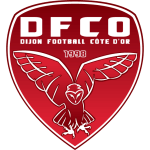 EA Guingamp vs FCO Dijon predictions for this Ligue 1 clash as two teams in the bottom three face-off in what will be a crucial game in terms of the relegation battle. Both sides have been in terrible form recently but have a great opportunity here for three points. Read on for our free betting tips and match preview. Guingamp currently sit 20th in Ligue 1 but are just two points off of Dijon so a win here would be absolutely huge for their survival efforts. Guingamp have only won one of their last seven games but have gotten the bit between their teeth in recent weeks as they have conceded just once in their last four matches. They had a great chance to win last weekend as they faced a Toulouse side without a home win in six months but really squandered the opportunity as Marcus Coco’s red card put them in the lurch for most of the match (0-1). Guinagmp’s attack has failed to improve at the same rate as their defence though as three of their last four matches have seen them hit at most just one shot on target. Marcus Thuram is Guingamp’s top scorer with seven goals in the league but he has remained on that tally since the end of last year as his form has really gone off the boil. As well as being bottom of the table in terms of points, they are also bottom for goals scored and points won at home. They do top one chart though, the most goals conceded so far. Dijon have been equally as horrible recently and this continued in midweek as they were battered 4-0 by the champions at home. It was a game they never expected to get anything from but it was a pretty damning performance as they conceded 15 shots. This extended their run of games without a clean sheet to seven as they are currently living up to their title of having the league’s second worst defensive record. Dijon have only scored once in their last six games but it has been a pretty difficult run of games with PSG twice, Marseille and Lille all being a tough ask for any team. They will be happy that they are playing someone their own size for once as they have won their last three games against teams in the current bottom four (Guingamp, Caen and Monaco). It’s sure to be a nervy game as neither side can really afford to lose it but we’re backing the hosts to edge this tight encounter. 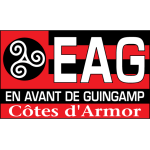 Guingamp’s defence has looked much more watertight in recent weeks and with Dijon so poor going forward, we’re backing it to hold steady against the Mustards as it did against better attacking teams in Nantes, Bordeaux and Angers. As a result, we’re backing Guingamp to nick this game 1-0. Just one of Guingamp’s last six games have seen over 2.5 goals and given the circumstances, it should be a very tetchy, low-scoring game. 21 goals have been scored in five games between Guingamp and Dijon in Ligue 1, an average of 4.2 goals per game. Guingamp have picked up 19 points after 28 games in Ligue 1 this season. The 25 teams with 19 points or fewer at this stage (considering 3 points for a win) have all been relegated. Dijon have won only two of their last 25 games in Ligue 1 (D6 L17): in December against Guingamp (2-1) and in January against Monaco (2-0). Guingamp have won only two of their last 15 home games in Ligue 1 (D5 L8), in January against Rennes (2-1) and in February against Angers (1-0). Dijon have won none of their last 12 away games in Ligue 1 (D3 L9) – losing their last six in a row without scoring. Guingamp have failed to score in seven of their last 10 games in Ligue 1. Pedro Rebocho has delivered the assist for two of Guingamp’s last four goals in Ligue 1. He has provided four assists in Ligue 1 2018-19, no player at the club has more. Two of Dijon’s last three goals in Ligue 1 have been scored by Naïm Sliti. Two of his last four goals in the top-flight were scored from the penalty spot.